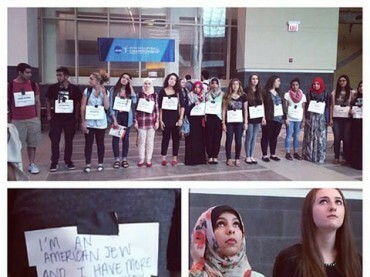 Members of Students for Justice in Palestine at Loyola University-Chicago verbally assaulted their Jewish peers recently, hurling a variety of insults at them before creating a human wall to block their attempt to advertise trips to Israel. The incident occurred on Sept. 9 as the Hillel student group manned a table for Birthright Israel, a group that pays for Jews to travel to Israel and explore their ancestral background. “Members of SJP started monitoring the table, walking by, pointing and talking about it like they were clearly planning something,” Hillel chapter President Talia Sobol said by email to The College Fix. As the tabling event concluded, pro-Palestinian students began to pepper Hillel members with hostile questions such as “How does it feel to be an occupier?” and “How does it feel to be guilty of ethnic cleansing?” said Sobol, adding one member is worried about attending future Hillel events for fear of being attacked. The incident comes on the heels of a contentious Israel divestment vote last year, further fanning the flames between Loyola’s Hillel and Students for Justice in Palestine chapters. Sobol said the university is investigating the incident. She said the protesting students violated at least six community standards: “not receiving prior permission for a protest,” interfering with the rights of others to demonstrate, blocking entrances or exits on campus, harassing other registered student organizations, threatening university members and disrupting a building’s normal functions, in this case the Damen Student Center. 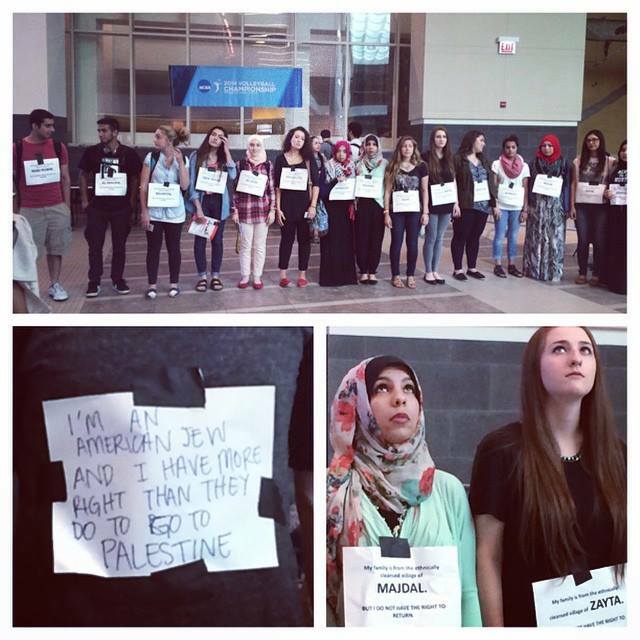 Such acts by pro-Palestinian students make it harder to build “dialogue or debate” with them, Sobol added. Neither the Loyola chapter of Students for Justice in Palestine, nor Alam, who posted the video, responded to requests for comment. Leslie Watland, assistant director for student activities and Greek affairs at Loyola, deferred questions by The College Fix about the incident to a university spokesperson, who confirmed in an email to The College Fix that the incident is under investigation by the campus Office of Student Conduct and Conflict Resolution. As for Alam, who describes herself as a Bangladeshi American on Twitter, she has written negative comments on social media about Birthright and the divestment campaign at Loyola. She has also mocked the idea of Jewish students feeling “targeted” for the divestment resolution in a Sept. 13 Loyola Phoenix editorial. “The opposition to this resolution was expected because of apparent parallels between the apartheid South Africa and the current Palestinian struggle,” Alam wrote in the column. Divestment opponents make the same arguments as those who argued against South African divestment “in an attempt to justify white supremacy over blacks,” she wrote.